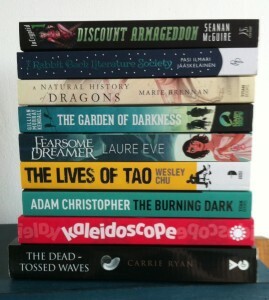 I couldn’t very well *not* include a Harry Potter book, now, could I? 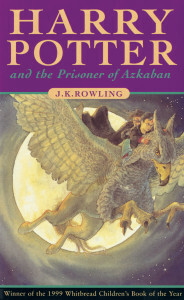 Prisoner of Azkaban is my favourite, because it features my lovelies Sirius & Remus, WHO ARE BOTH FINE AND DANDY, don’t you dare! 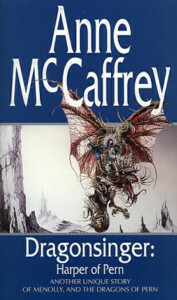 This is my favourite Dragonriders of Pern book, although it does have problematic things in it, because well- PERN. I re-read it about once a year. 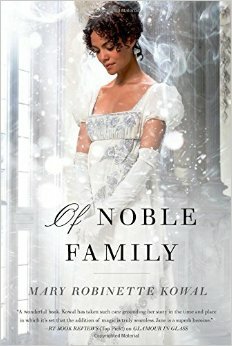 I am totally having the omnibus edition of all three books, because it isn’t cheating since it’s all in one physical book. Also I’ve not re-read these since my teens & I really want to. 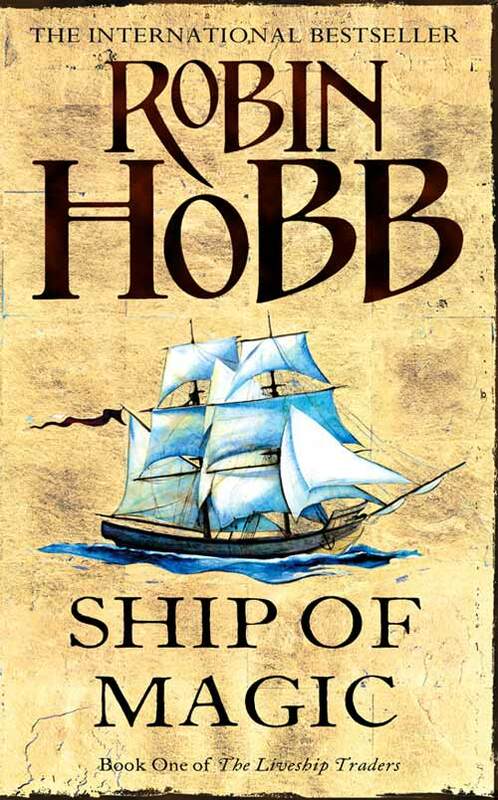 This one was harder to choose: it’s the first in The Liveship Traders trilogy, which I dearly love, but I also haven’t re-read it in years, so I feel like I’d be dissatisfied when I was done with this one book & didn’t have the other two. There’s no omnibus – you better believe I checked. 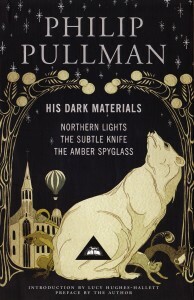 The final book in the Glamourist Histories & my favourite of the lot. It has some really cool study-of-magic-as-science aspects, especially relevant to my interests because they discuss the language they use a lot, and I LOVE that. Kowal also makes each book can stand alone, so it wouldn’t matter so much if I could never re-read the first four. And now, because I’m greatly daring & possibly very foolish, I pick three books I haven’t read yet to come with me on a desert island forever. 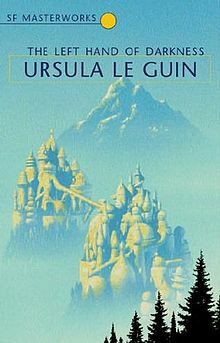 I know from other works I’ve read of LeGuin’s that I enjoy her sparse style and that I’m engaged with the themes she chooses to focus on. So many people whose opinion I trust love this book, I’m confident I would like it too. Honestly the only reason I haven’t read it yet is that I’ve not really felt like I had the time/brain space to properly concentrate on it. I bet that’ll be a big problem on the desert island. I’m slowly catching up with the Discworld after making a late start into the series. 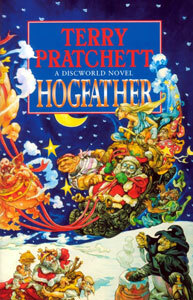 I’d pick Hogfather because,as far as I know, it’s one of the more stand-alone ones. It might also be nice to have a book that’s a bit more festive (although it might just upset me if I’m all alone on a desert island…). 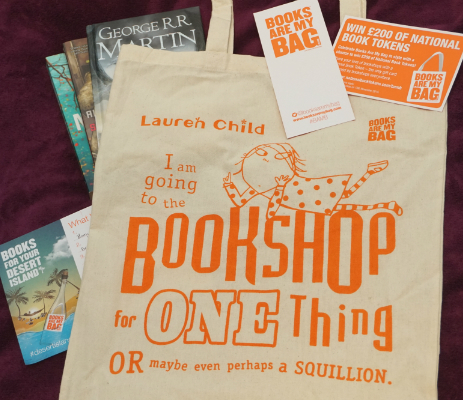 I love Martin’s writing, but I can’t pick one of the Song of Ice and Fire books. 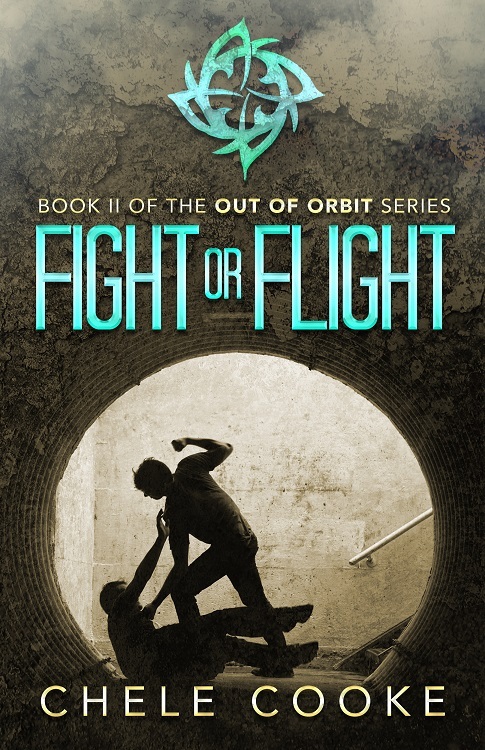 I love them but we have two more books to go & I wouldn’t want to spend my desert island days being reminded that I have no idea how the series wraps up! 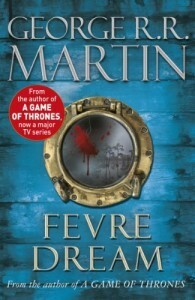 Fevre Dream is one of Martin’s earlier novels, it’s a standalone about vampires & it’s very well regarded, so I’d go for that one. Let me know what you think of these picks in the comments below, would you choose any of the same books or just a completely different list? As I’m sure everyone knows by now, the past fortnight had been filled with conventions and various other geeky things. Everybody else probably had their con reports done ages ago, but I got ill with a pretty darn impressive bout of con-plague right after coming home from Loncon, so I haven’t had time yet. So now that my insides have forgiven me for my wicked convention ways (all the snacking, all the coffee, none of the healthy stuff…), here are a few highlights of my con experience! 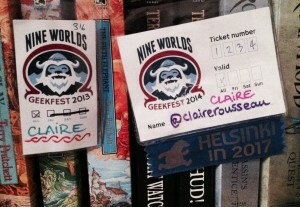 I went to Nine Worlds right from work on the opening night (Thursday 7th) and stayed until Sunday night. I had an absolute blast there, particularly as a bunch of my close friends & writing group buddies were going, and I also knew a bunch of other people from the London fannish scene. I’d booked the week between Nine Worlds and Loncon off work, so I used it to chill out and work on structural edits to The Paradise Swarm. I’m so glad I did this, I don’t know how I would have been anything but zombie-Claire for all of Loncon if I hadn’t. 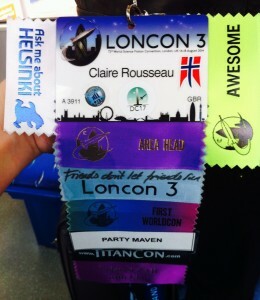 Then on the morning of Thursday 14th, I trekked down to the Excel Centre with a massive suitcase to attend Loncon3, which was my first WorldCon. I was also on staff, meaning I volunteered ahead of the con and had extra responsibilities for specific things (in my case, the Party Maven team! We walked around the Fan Village in the evenings being helpful and liaising with Ops. Shame I didn’t think to bring a pedometer!). I ended up doing way more than I’d expected which was really good fun although a bit taxing. After I went home on Monday and searched my suitcase quite thoroughly at the front door, it became clear I’d lost my keys at the con! Luckily someone had brought them into the lost and found at the Excel and the staff there was extremely helpful, letting me send in a courier to get the keys back to my house. On Tuesday, it was back to the office with me, with what I thought at the time was a little bit of a cold. 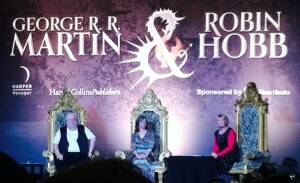 That night, I went to the awesome George & Robin event at the Freemason Hall in Central London, which was super cool, because ROBIN HOBB!! GEORGE R. R. MARTIN!! The interview was really super interesting, especially when they started talking in more detail about the writing process and how they approach their work. 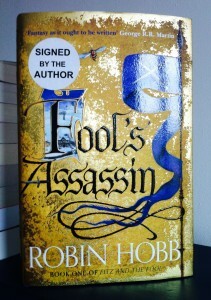 I also got a gorgeous signed hardback of Robin Hobb’s latest novel, Fool’s Assassin, which is about Fitz! It is literally shiny. Of course, after that, my ‘little bit of a cold’ morphed into stomach flu and I had to take some time off sick. I’m feeling better now though, and I don’t think I’ll ever plan two back-to-back conventions like this. It was epically good fun, but I kind of feel like I’ve entirely lost the following week. 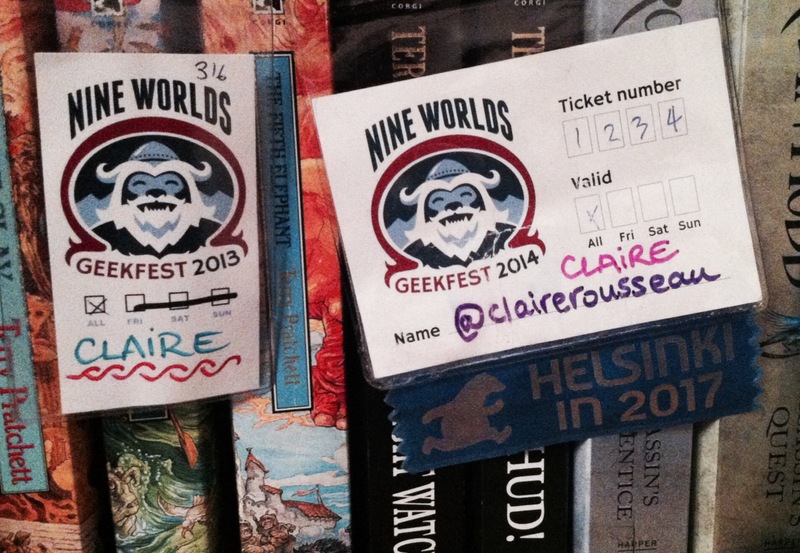 For 2015, I’m hoping I can make it to my first EasterCon and go to Nine Worlds again, as they are both in Heathrow and neither is too long, meaning I can take a few days off AFTER each con to recuperate. I’m never going back to the office the day after a con again! I went to a lot of panels over the last couple weeks so I couldn’t name them all, but there were some outstanding ones. At Nine Worlds, I loved The Vampire vs Werewolves vs Dragons vs Warlocks debate, which had authors debating the merits of each (dragons won); Paul Cornell’s Only a Moment panel; and the Costume talks in the fandom track, which had @Hello_Tailor discussing the impact of film/TV costumes on the narrative, and @whatkatie_did talking about stealth cosplay! At Loncon, my favourite was hands down the Diversity in YA panel, which had great panelists and moderation. I also really enjoyed the various Kaffeeklatsches and Literary Beers I got to attend, with Emma Newman, Mur Lafferty, Seanan McGuire & Mary Robinette Kowal. I cosplayed all three days at Nine Worlds! My costumes weren’t the most involved I’ve ever had, but they were generally well received. In the end I got enough of Nine World’s new ‘Awesome Cosplay’ tokens to win a little goody bag with candy, a toy dinosaur and an ‘Outstanding Cosplay’ badge!! On Friday, @Jenepel and I went as Daria and Jane, which was tons of fun, except that I wore a wig and contacts and pretty much no one recognised me as me. I kept having to point as my name tag and be all “Hi, we’re friends!”. On Saturday, I wore my Sally Skellington dress but without the white sleeves or face-paint. I think that worked well as a compromise between cosplay and looking like myself! On Sunday, I was Tank Girl, which was THE BEST to make, but which I forgot to take a picture of! 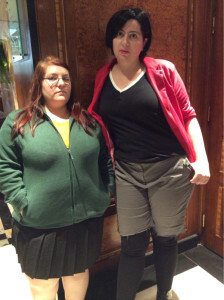 Must dress in it again soon for photo-op! I got to meet so many new people, from fans to writers I’ve admired for ages, with everyone in between; I can’t possibly name-check everybody (without forgetting some people and being rude). 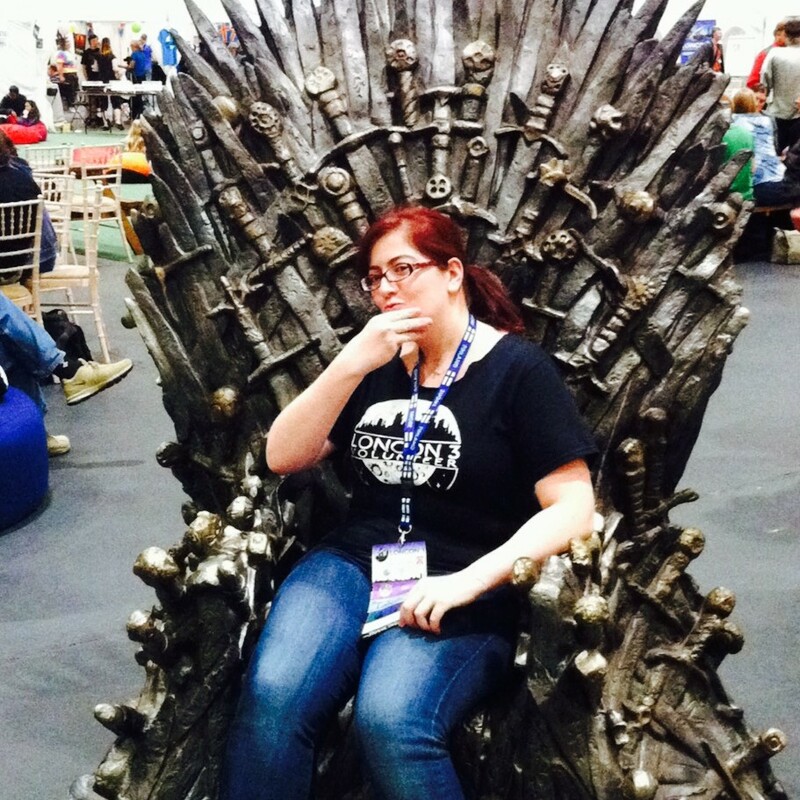 I knew fewer people at Loncon, but volunteering and being chatty do really help! Because a bunch of my friends were at Nine Worlds, hanging out in the bar there was great fun (except for the price of everything!) and led to meeting even more people. I had nice chats with people after the New Voices panels too!